Exclusive name jewelry - hand made with love specially for you. Life consists of many memorable moments worthy of notice. Newlyweds want to show the world their happiness and newly become parents are overflowing with pride and love towards the new little baby. What´s better than wearing personalized jewelry close to your heart all the time, to remind yourself of your loved ones and happiness. Personalized jewelry offers just that. Jewelry with your loved ones namnes engraved allows you to always show the whole world the most beautiful thing you have - love! We have jewelry for every occasion in life, birthdays, christenings, naming, wedding or another memorable moments. Everything becomes a memory for life when you make it personal with engraving. We have name jewelry for children, women and men. If you need help with your order, please do not hesitate to contact us. Call +46-8-55110871 or email info@namejewelryofsweden.com. We can help you! Because we design and manufacture all of our name jewelry, there is a red thread through everything we do, from children's jewelry, cufflinks, name necklaces to christening gifts. If you are looking for something unique that is not in our standard range, we develop a name necklace according to your preference. When we create a new piece of jewelry - for our online store, or perhaps your wedding ring - we take the time needed for making good design. We make several models before we decide the final outcome. All angles and edges are carefully selected. It's important to us that what we sell is thorough and keeps our stylish design. 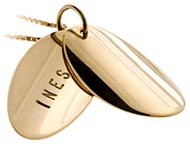 This assures that each name jewelry will keep the high quality that we require. We work in traditional craftsmanship manners and use precious materials when we manufacture our name jewelry. We love to work in various metals and with 16 years in the profession, we can offer high quality jewelry. All our jewelry is handmade in our own workshop just outside Stockholm, Sweden. 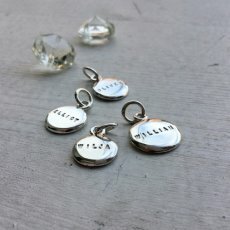 Our name jewelry is stamped with four different stamps. One is 925 which is equal to sterling silver, the other is 18K which is equal to gold 850, and third we have a production stamp which is KCC. Then finally we have a Cloud (from our logo). 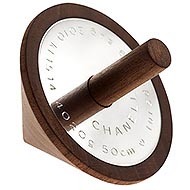 These stamps guarantees our own design, good quality and the authenticity of the material. KCC is a combination of the first letter in our names, Klara, Camilla and Charlotta. It is one of us who have made your name jewelry. If you have any questions, or need help with your order, please do not hesitate to contact us. Call +46-8-55110871 or email us at info@namejewelryofsweden.com We can help you! 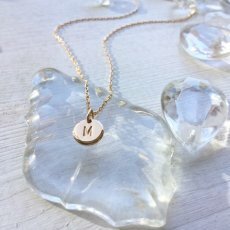 Love your name jewelry - it loves you! Like us on Facebook! There you can communicate directly with us in the workshop, and also you get to take part of special offers and competitions. Follow us on Twitter and get the latest news. On Twitter, you will know the latest happenings and sometimes some extra fun from our workshop! See our film, and get an insight into how a handmade jewelry will be made in our workshop. You can also view our current short commercials. Enjoy! Follow us on Google+. Do you prefer Google instead of Facebook, communicate with us here and take advantage of our offers. Follow us on Instagram and see all of our latest photos. Here we show apart from our jewelry even photos of fairs, studio, workshop.